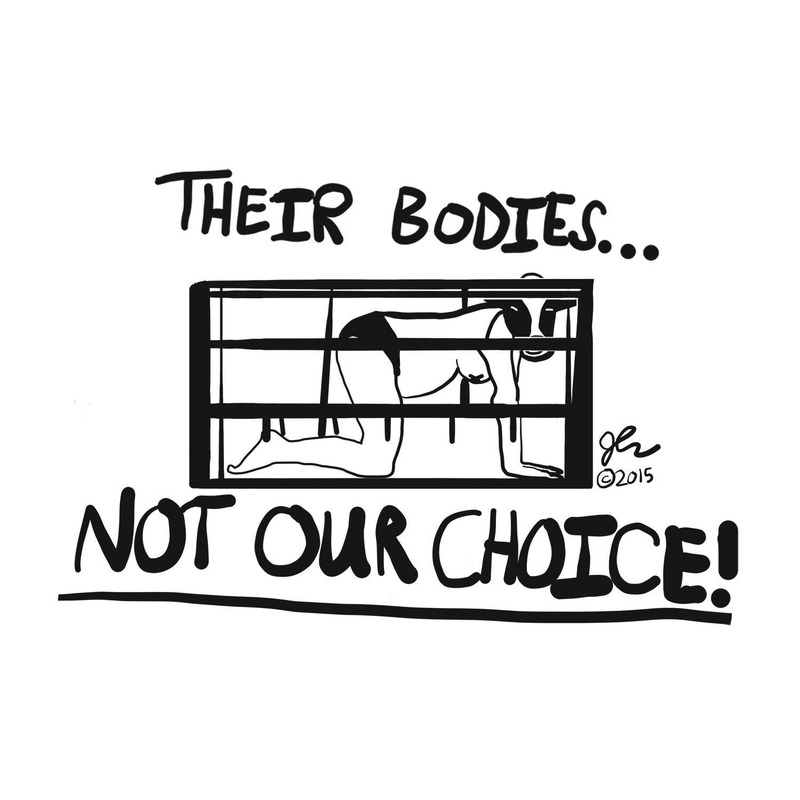 This is an illustration of a pregnant lady in a cage similar to that factory farm animals are forced to live in with a cow head instead of a human head to make it more apparent that this is both a women's rights shirt and animal rights shirt. 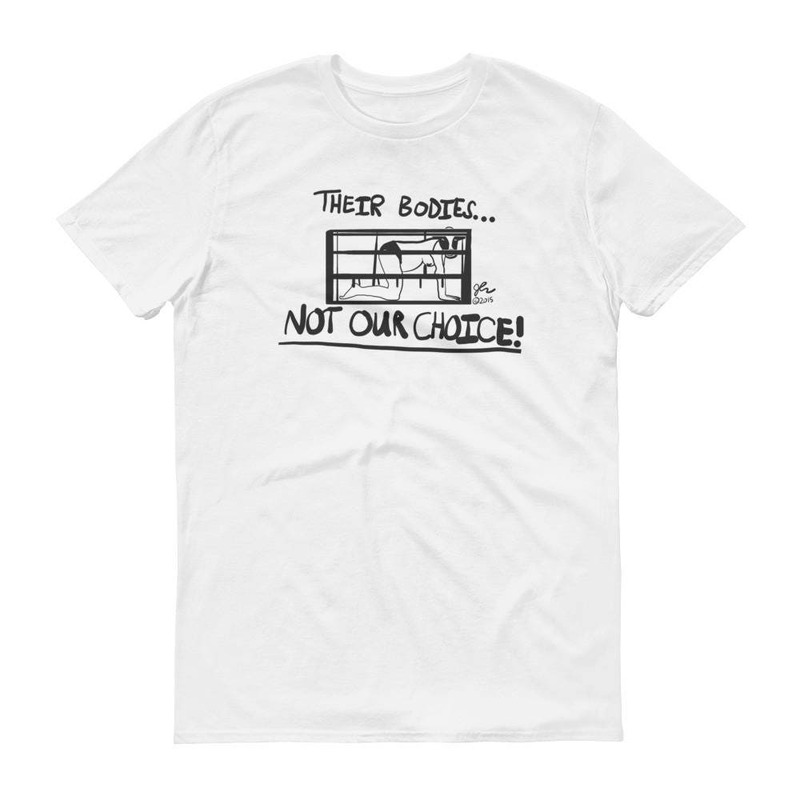 The shirt is a statement about the shared issue of having the rights to one's own body. The text reads, "Their Bodies, Not Our Choice."